In his new role, Jim will be responsible for driving forward Barclaycard’s prepaid card activities in the public and private sector. Jim joins Barclaycard from JP Morgan where, for the past two years, he was responsible for developing and launching its prepaid and commercial credit card offerings in the UK and Europe. Prior to this role, Jim was Chief Marketing Officer of Simpay, the pan-European mobile payment initiative and has also held the position of head of m-commerce at Vodafone UK. In August 2009, Barclaycard published figures about their customer numbers that showed that it has 11.9m UK customers, 11.8m international customers and 88,000 retailer/merchant relationships. In addition to the UK, Barclaycard operates in the United States, Europe, Africa and the Middle and Far East. Barclaycard also issues charge and credit cards to corporate customers and the UK Government. Barclaycard partners with a wide range of organisations across the globe to offer their customers or members payment options and credit cards. The Nominating Committee of the Club Managers Association of America (CMAA) has released the 2010 slate of candidates for officers and directors. Mr. Ronald Banaszak, CCM, General Manager/Chief Operating Officer of the St. Francis Yacht Club (www.stfyc.com) has been nominated as a Board of Director for the 2010 election. The CMAA has more than 6,000 members, spanning the entire United States as well as Canada, South America, Australia, Europe and as far as South Africa. As a dedicated and active member of the CMAA since 1995, Banaszak has volunteered for many committees and special projects which prepared him for his term as President of the Southern California Chapter of the CMAA. In 2008, the four California Chapters merged into one large Golden State Chapter of the CMAA. “Our association needs volunteers on the Board that can lead, and leadership is a skill CMAA has a track record of developing in its members. Being a product of this leadership development, I am confident this is the area I can best serve CMAA,” says Banaszak. His nomination to CMAA is supported by the Board of Directors of the Golden State Chapter, the Board of the St. Francis Yacht Club, as well as his wife and children. Leviton is pleased to announce the appointment of Ramzi Nassif to lead the company’s expansion into the Mid-East. As Managing Director for Middle East Sales, Nassif will be headquartered in Dubai and spearhead sales of the company’s line of residential, commercial and industrial products throughout the Middle East, India, Turkey and Egypt. Leviton, which is North America’s leading producer of electrical and electronic products, also has over twenty years of leadership experience in the commercial networking and structured cabling industry, supplying everything from high-density copper and fiber solutions for telecommunications rooms and Data Centers to every type of connector and wall plate for the workstation. Nassif brings a formidable background in strategic planning and multi-national sales to his new position. Prior to joining Leviton, he enjoyed a decade-long career with 3M Gulf, Ltd., where he quickly grew sales of the company’s electrical and telecom solutions and distinguished himself as a consistent high performer. Starting out as a sales engineer, he later assumed positions as team leader, marketing executive, regional sales manager and most recently, as Country Business Leader for the company. He also earned numerous performance distinctions, including awards for best division and best marketing plan. “We couldn’t be more pleased to have a professional of Ramzi’s background join our International Group to lead us in this exciting strategic venture. His track record of outstanding achievement, performance and leadership bode well for Leviton’s ability to increase its footprint in these exciting, emerging markets,” said Bruno Filio, Vice President of International Business Development. 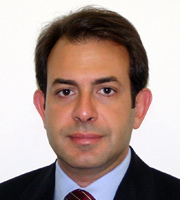 A graduate of Georgia Institute of Technology, Nassif holds a BS in Electrical Engineering, Green-belt level Six Sigma certification and is a member of the Institute of Electrical and Electronics Engineers and Building Industry Consulting Services International (BICSI). Leviton Manufacturing Company, a 102-year-old family-owned business and the leading name in electrical devices, also has over twenty years of leadership experience in the commercial networking and structured cabling industry, supplying everything from high-density copper and fiber solutions for telecommunications rooms and Data Centers to every type of connector and wall plate for the workstation. As networking requirements reach the 10-gigabit transmission level, Leviton is one of the few global companies with the ability to consistently manufacture system components capable of meeting rapidly-evolving performance standards. On the residential side, this technical and manufacturing excellence is the reason why homebuilders in the U.S. rank Leviton as their top brand in residential structured cabling and lighting control products (according to Builder magazine’s annual Brand Use Study). Leviton’s professional-grade voice, data and video products and systems are the ideal platform for meeting the demands of today’s advanced home communications, information and entertainment technologies.